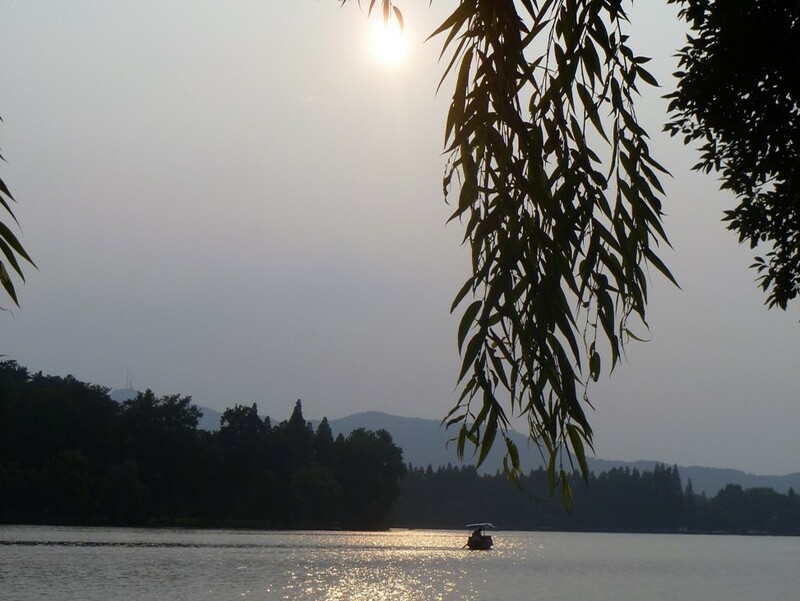 Hangzhou is a progressive Chinese city with a beautiful lake as its centrepiece. The West Lake draws people in from far and wide to appreciate the city’s natural beauty and leisurely environment. The city has a long history of prosperity, being the Southern terminal on the Grand Canal and an important hub for the sale of silks. During the Mongol Yuan Dynasty it was visited by Marco Polo, who wrote about its grandness, liveliness and cultural sophistication. Today it has this same dynamic outlook, with China’s elites attracted to this city for its renewed prosperity. Tech giants such as Alibaba are based here. In 2022 Hangzhou will host the Asian Games, a city the country’s government is proud to put on display. 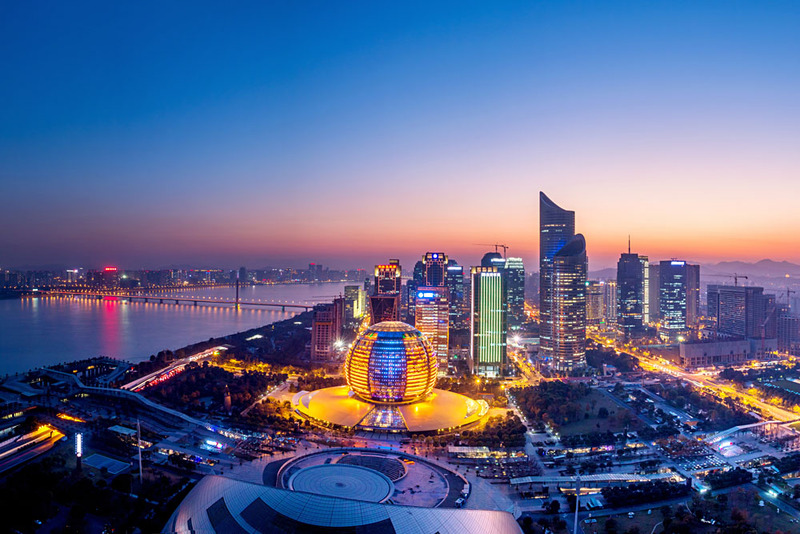 This status, beautiful location, abundance of entrepreneurial activity and level of development makes Hangzhou and wonderful and rewarding place to be. Teaching placements in Hangzhou are available on our Private School Teaching Programme, meaning you’ll be working for a well-established organisation known throughout China. With a placement in Hangzhou, you’ll be required to work 5 days per week, often over the weekend. You will teach from around 15:00 – 21:00 on working days, and plan lessons or attend training outside of this time. You will get the chance to teach students ranging in age and ability, and receive help and support in adapting your lessons to your students needs. The school will give you a curriculum to follow, but you’ll have the chance to use your imagination to make your lessons special. Our Hangzhou placement offers a net salary of around 9,000 RMB per month, medical insurance, flight reimbursement, and teaching modules to help your professional development. Salary level may differ depending on your experience. Ongoing training and support is provided, and those who perform well will get a chance to progress to other roles in the business. Our partner school in Chengdu requires a contract duration of 15-months. Our partner school in Hangzhou offers all teachers free accommodation within a shared apartment as part of the teaching contract. Apartments are comfortable and equipped with all essential amenities and a western toilet. Should you wish to find your own accommodation in Hangzhou, your school will help you find somewhere suitable, and they will offer a monthly accommodation allowance to put towards your rent. Rental prices of apartments in Hangzhou range between 3,000 – 7,000 RMB per month. 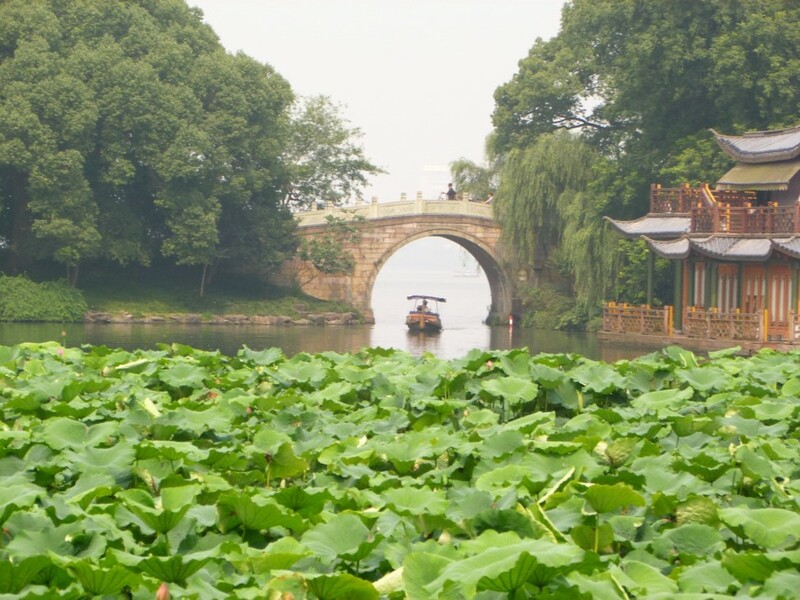 There are a variety of attractions in Hangzhou, mainly focused around the area’s natural and manmade beauty. 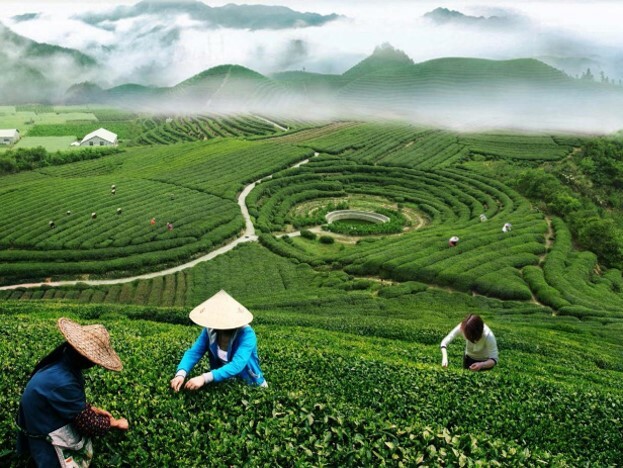 The climate allows for the cultivation of tea and so farms are easily accessible. Hangzhou is also nearby the Water Towns of Zhejiang, the most famous being Suzhou. These stunning towns are dotted with traditional Chinese houses interconnected by channels of water. They are the idyllic postcard pictures of small boats on rivers, passing under arched foot-bridges besides the artichoke leaf roofs and willow trees. West Lake: The West Lake is Hangzhou’s centrepiece. There are plenty of activities to take part in whilst enjoying the scenery, such as cycling, boat peddling, lazing on bamboo rafts and plain old walking. Highlight on the lake include the Broken Bridge, The Solitary Hill, Zhongshan and Hubin Parks and the eight-sided Leifeng Pagoda. West Lake’s Causeways: The Su, Bai and Yang causeways take you from the lake to beautiful scenic spots around the city. From these you can access various parks. 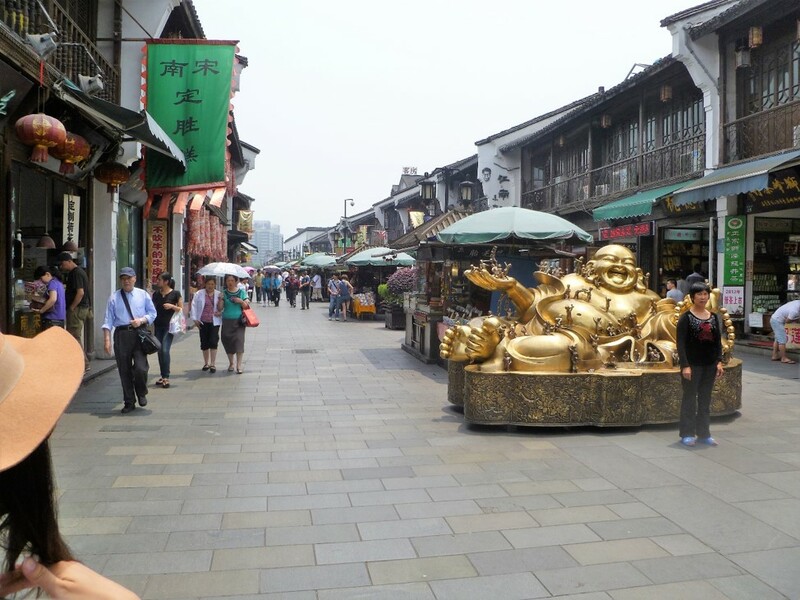 Qinghefang Old Town: A modern Old Street recreated to mimic the glorious days of Hangzhou’s past. This is the place to enjoy street food, explore Chinese medicine shops, drop into museums and pretend you’ve gone back in time. Well worth a visit. Dragon Well Tea Village: To the southwest of West Lake, these green hills and quaint village provide a relaxing escape from the city. There are many teahouses and authentic Zhejiang restaurants in the area. A visit in Spring will allow you to watch the tea harvest in full swing. More refined than other Chinese cuisines, the Zhejiangese take pride in their more complex cooking style. Expect fresh food with a sweet touch. Fish are drawn from the lake too, but there are also shrimp and pork dishes worthy of attention. Noodle dishes are salty rather than spicy. 西湖醋鱼Xīhú cù yú : West Lake Fish with Vinegar Sauce is made using fish from the West Lake which is cooked in a sweet and sour sauce. A carp goes through a specific process before slaughter to condition the flavour. This involves keeping the fish in clean water and unfed for a few days. The fish is then slow-cooked whole in a vinegar sauce, creating the sweet and sour flavours typical of this region. 东坡肉 Dōng pō ròu: Slow cooked pork belly cubes are braised for hours on end to create this dish. The top half is pork fat, the bottom meat. At first it may appear slightly unappetising (because of the fat), but the cube is luxuriously tender and incredibly rich. A real treat. 叫花鸡 Jiào huā jī: The true Beggar’s Chicken is wrapped in lotus leaves, encased in mud and then roasted. It is typical of Hangzhou cookery, taking longer than five hours to cook. The serving of this dish is ritualistic, smashing the mud shell with a mallet to reveal the delicious meat. It is sometimes made more fragrant by cooking with tea. 龙井虾仁 Lóngjǐng xiārén: This dish is made using freshwater shrimp cooked with the tea from Dragon Well village. This is a sweet and delicate dish first flash-cooked in lard, and then fried with tea leaves. Hangzhou’s Sweets: 幸福双Xìngfú shuāng (Double Happiness – sweetened bean paste) and 酥油饼Sūyóu bǐng (a butter pastry roll) are examples of Hangzhou’s sweets unlikely to be found in other parts of China. 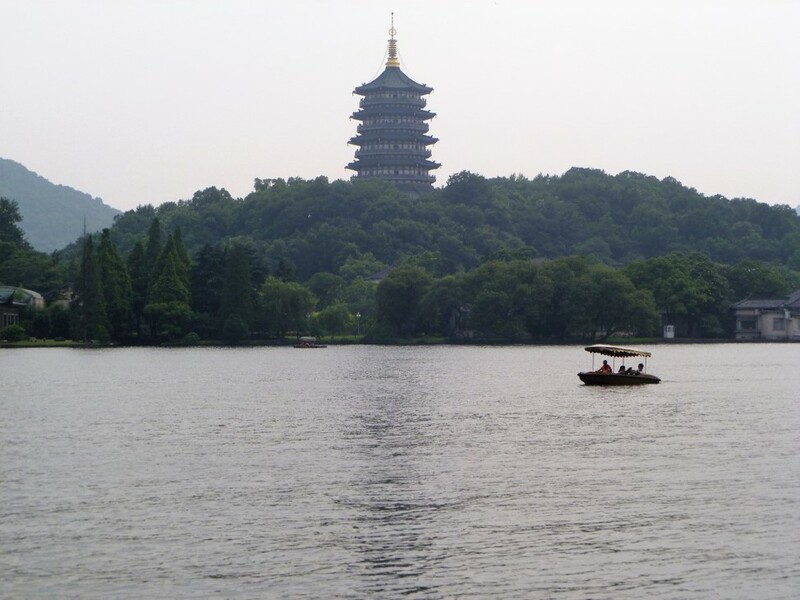 There are plenty of laidback activities in Hangzhou centred on West Lake and the numerous parks. The clean and chilled environment makes cycling, hiking and jogging a pleasure, not always the case in cities with populations larger than 9 million. A glass-house coffee shop surrounded by bamboo is a welcome stop. There are many bars and clubs at various locations around the lake. The nightlife is therefore more chilled, with a big reggae bar on the northwest side of the lake. Craft beer has also taking off in Hangzhou, with breweries to be found around the city. Midtown is a notable watering hole, found in the Shangri-La hotel just north of the lake. Go shopping for fine silks, electronics, tea and night markets. This is found on the east side of the lake by the red, Line 1 Metro stations. Interested in teaching English in Hangzhou? 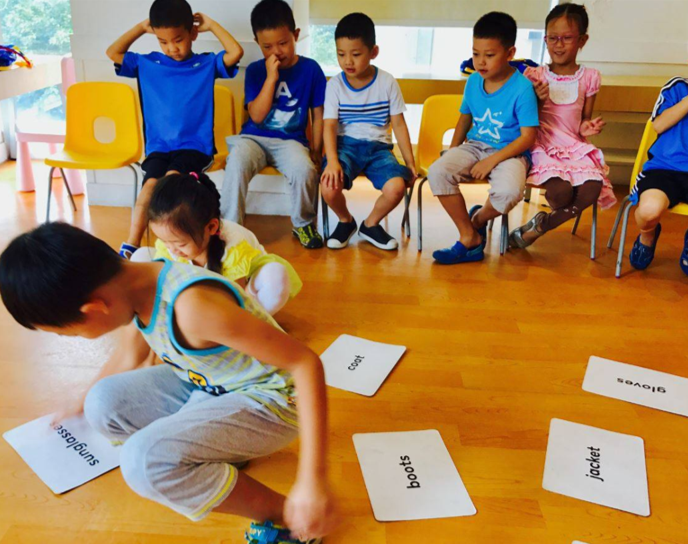 Find out more about our Private School Teaching Programme, or apply now to start your teaching adventure in one of China’s most progressive cities!